The London Eye is a giant wheel on the South Bank of the River Thames in London, when it was built in 1999 it had the distinction of being the world’s largest Observation Wheel. 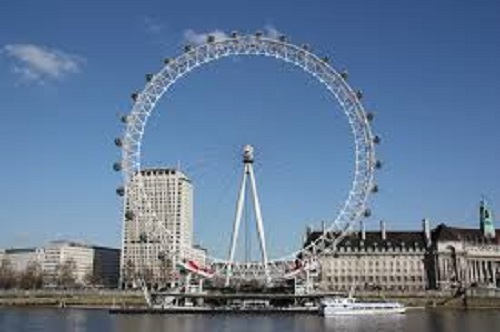 Originally known as the Millennium Wheel, it official title is the London Eye at various times being sponsored by British Airways, Merlin Entertainments ,EDF Energy and the new sponsor Coca Cola. The London Eye is 443 feet (135 metres) tall and the wheel has a diameter of 394 ft (120 metres) and is one of the London’s most popular paid tourist attractions with over three million visitors per year. 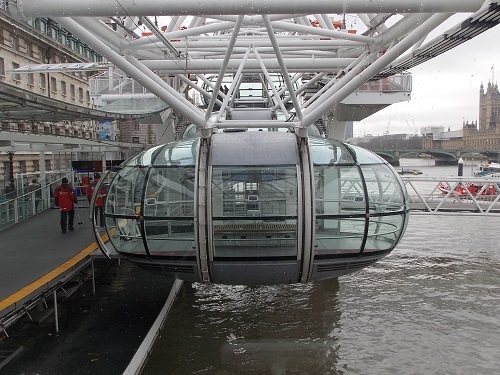 The wheel has 32 sealed and air-conditioned passenger capsules which can hold a maximum of 25 people, each capsule is large enough to walk about in , although seating is available. The wheel rotates at 10 inches per second and completes its entire rotation in 30 minutes. The slow rotation allows plenty of time to take in views over London especially the nearby Houses of Parliament. There is plenty of room within the capsule to get a variety of vantage points especially if you want to take photographs. The London Eye is situated next to the river and offers some spectacular views of the Thames in both directions. In contrast with attractions like the Shard, the London Eye is constantly moving which changes your viewing perception over time. 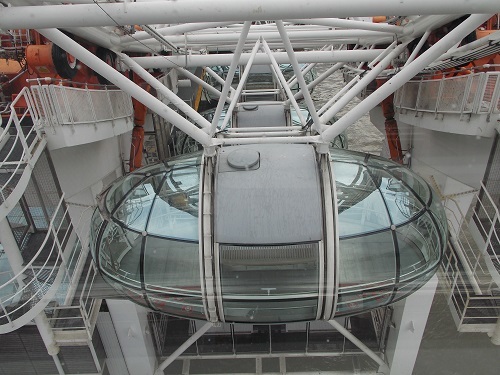 In each capsule there are a number of touch screen devices which will give you key information on landmarks that can be seen from London Eye as well as a 3D view of each sight. 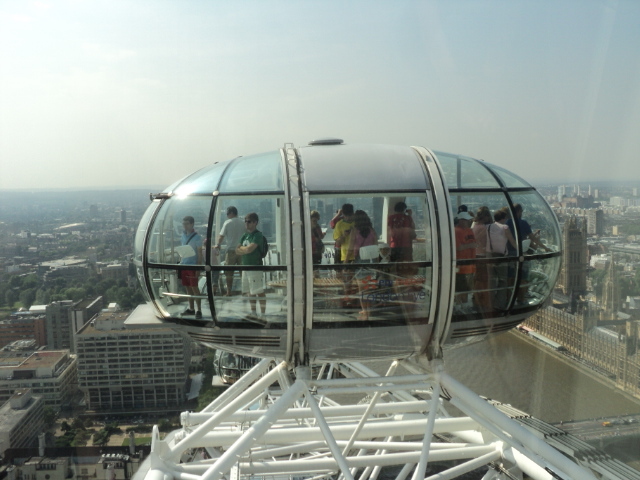 The London Eye has become one of London’s most popular attractions and seems to appeal to all age groups and has complete access for disabled guests, all paying disabled guests can bring a carer free of charge. If you are celebrating a special occasion you can hire a capsule and capsules are often used for special events, dining, wine tasting, champagnes and even weddings. 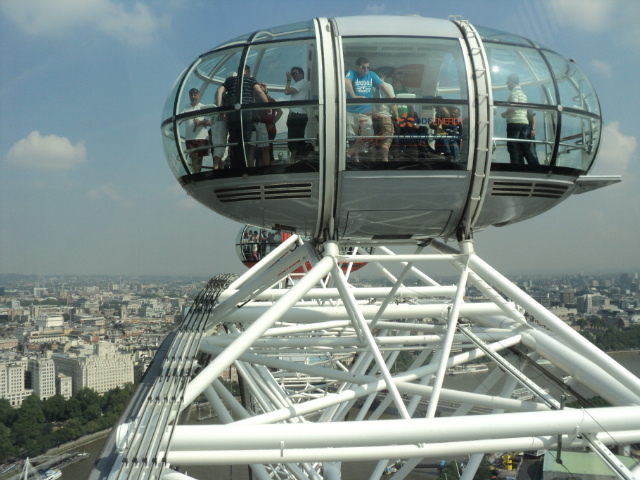 Either before or after your ride on the London Eye, you can watch the London Eye 4D Experience. 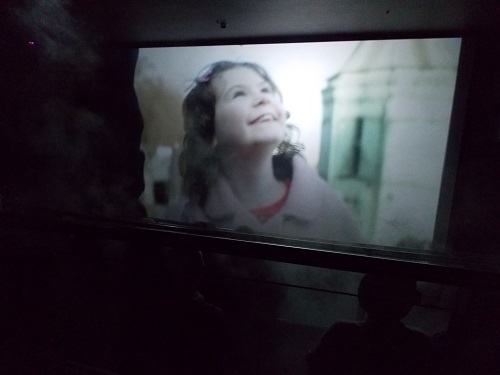 It is a 3D film with a number of in-theatre effects, although only lasting a few minutes it is a spectacular, entertaining view of London with a few surprises for the audience. Although a fairly modern addition to the London skyline, the London Eye has become a main landmark that is often at the centre of celebrations along the river. Its initial temporary status has been made permanent due to its incredible success attracting millions of visitors each year. On a clear sunny day it does offer a unique view over London, part of the fun of the leisurely ride is spotting the various famous buildings and other attractions of the capital. 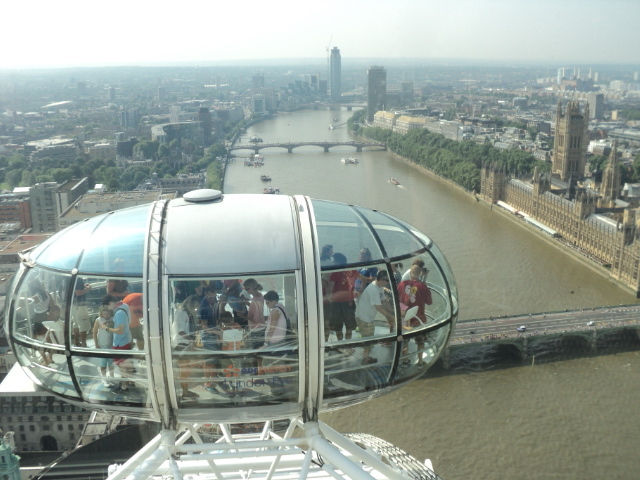 VLG TIPs The London Eye is owned by Merlin Entertainments who own Madame Tussaud’s, London Aquarium and the London Dungeon, therefore if you want to go to more than one of their attractions there are significant savings if you buy a combination ticket. You can book tickets by phone, at the Box Office and online but is recommended to book tickets before arriving at the London Eye. If the queues are long, you may want to consider upgrading your ticket to a Fast Track. The attraction is very popular and at its busiest during the months of July and August. They can also be busy during school holidays, Bank holidays and weekends. Their busiest time of the day tends to be from 11:00am to 3:00pm. By londonvisitors2014 in London Attractions on January 5, 2014 .